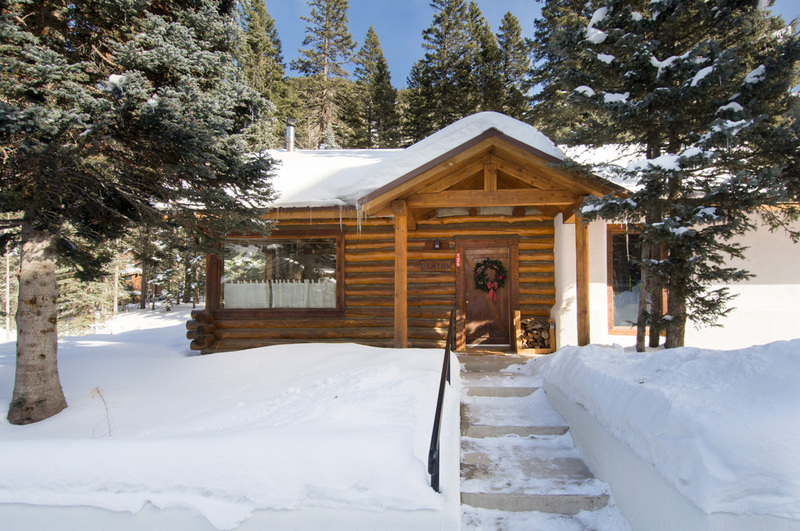 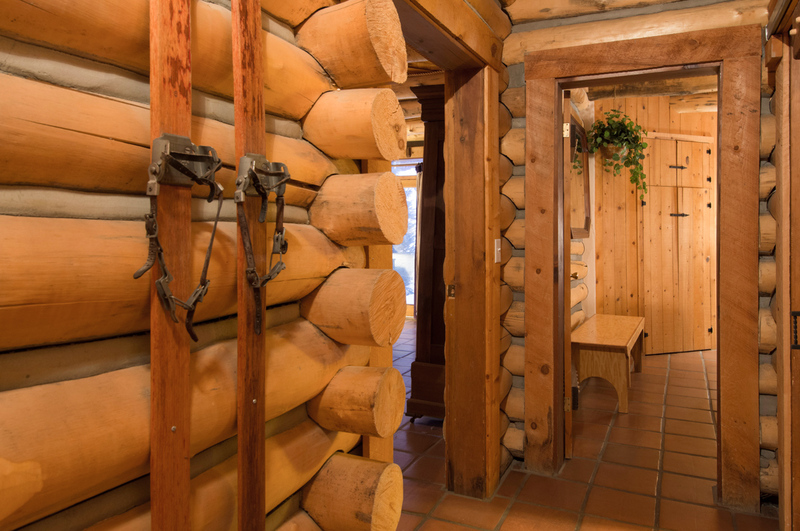 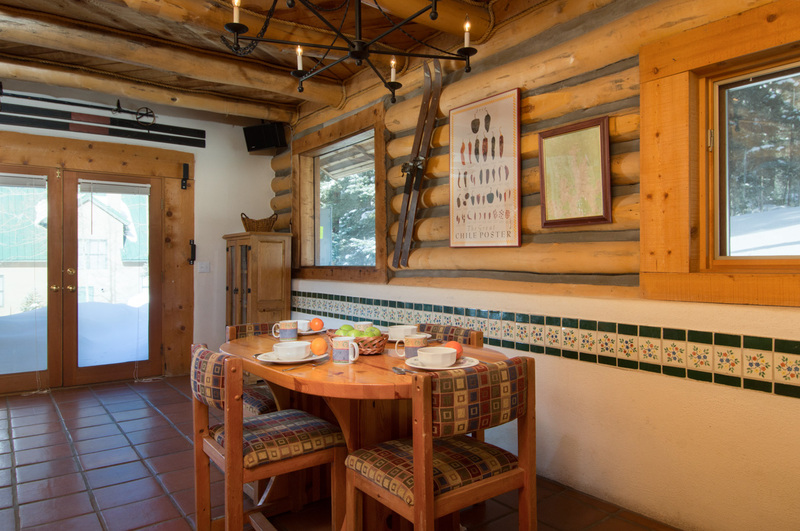 This cabin is located just 1.5 miles above the base area, within walking distance to a mountain stream and ski return trail. 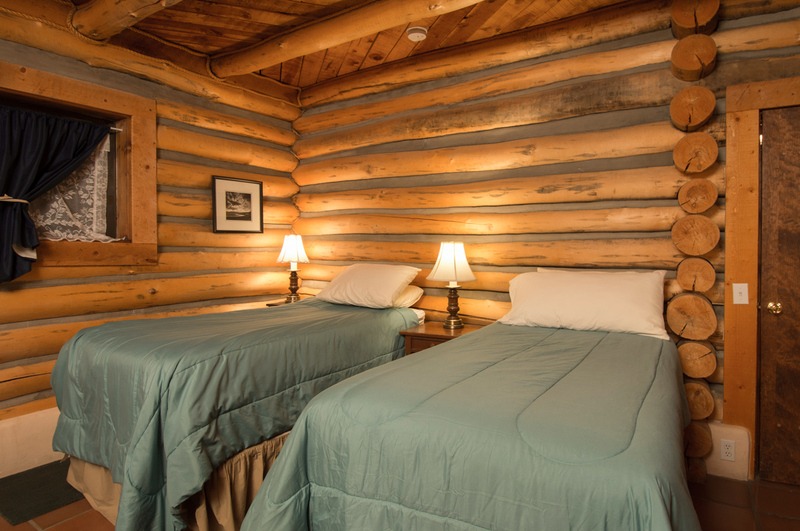 With 3 bedrooms and 2 bathrooms, the unit sleeps up to 9 guests. 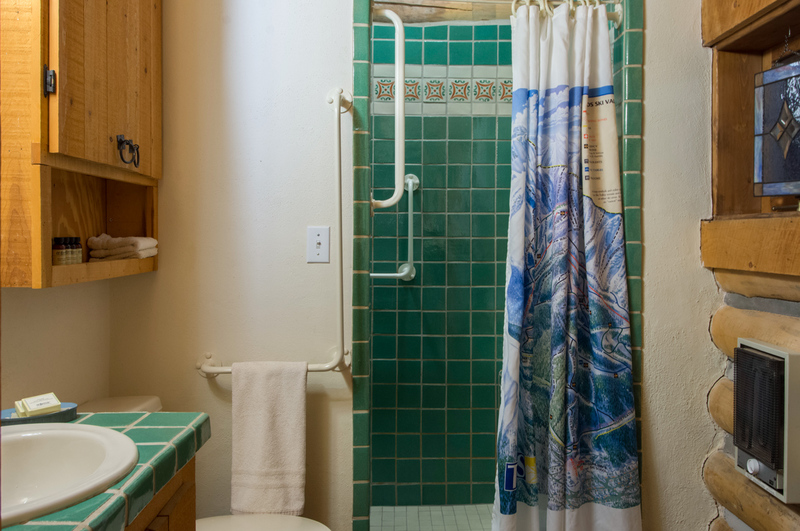 The master bedroom features one king bed and a bathroom with a beautifully tiled walk-in shower. 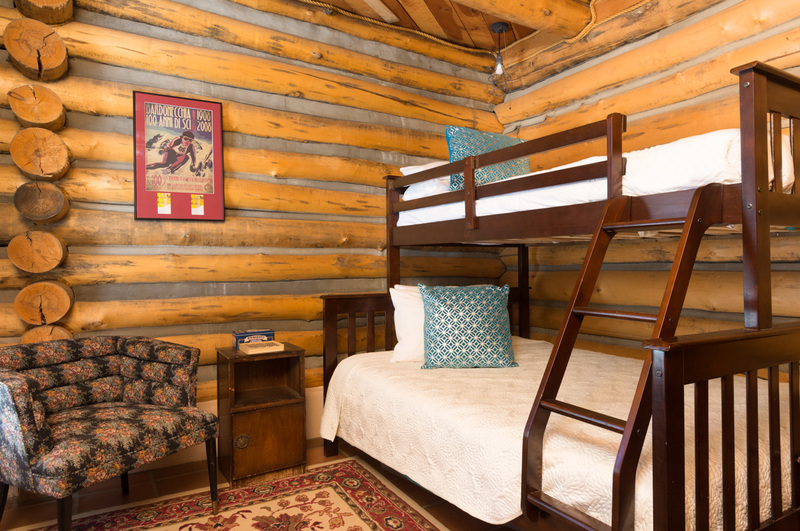 A second bedroom has a bunk with one twin and one queen, perfect for a small family. 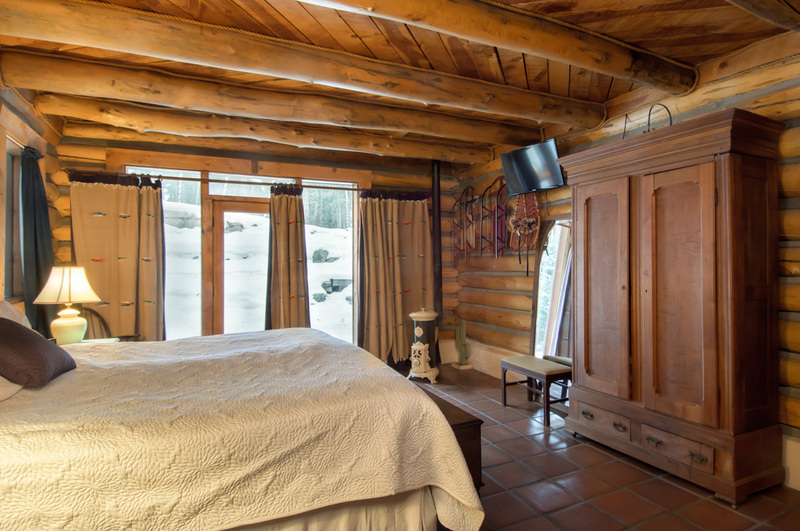 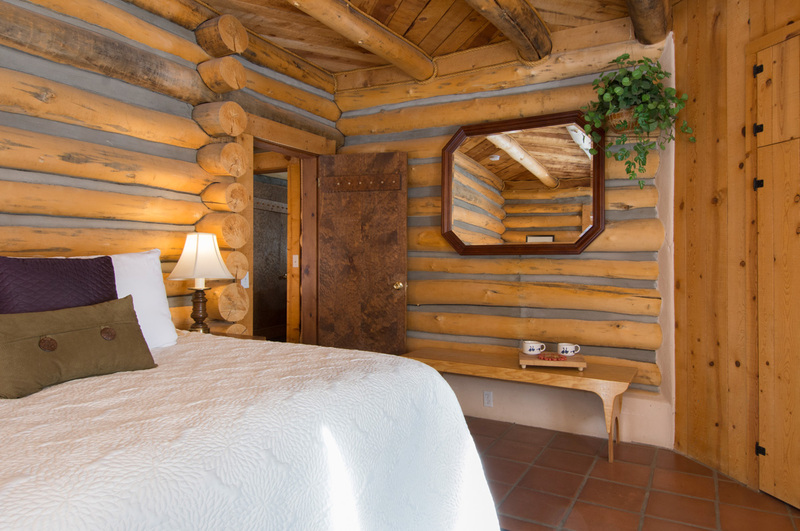 This bedroom also has a bathroom, which is equipped with a washer and dryer as well as a claw foot tub for relaxing after a long day of skiing. 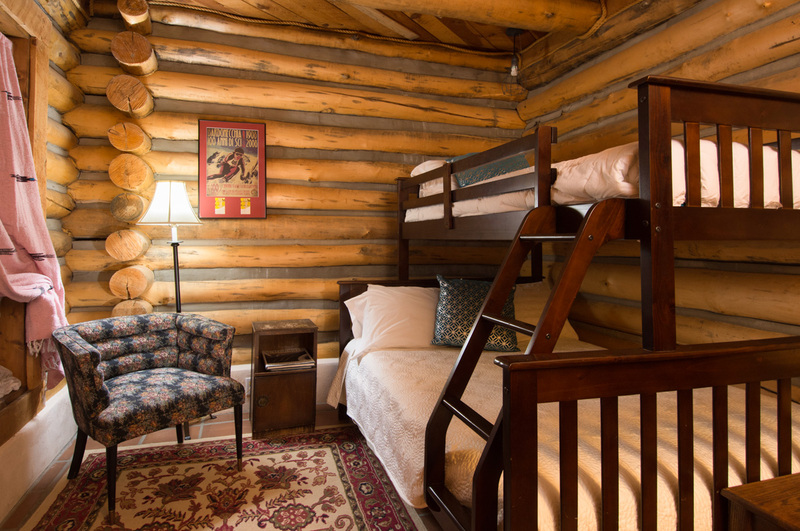 There is a third bedroom which offers a king bed and a twin with a trundle. 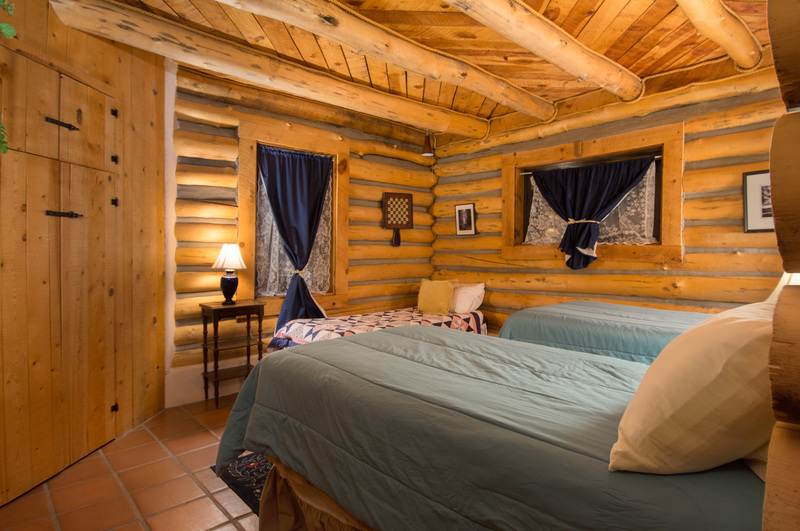 For additional bedding, there is also a queen sized sleep sofa in the living area. 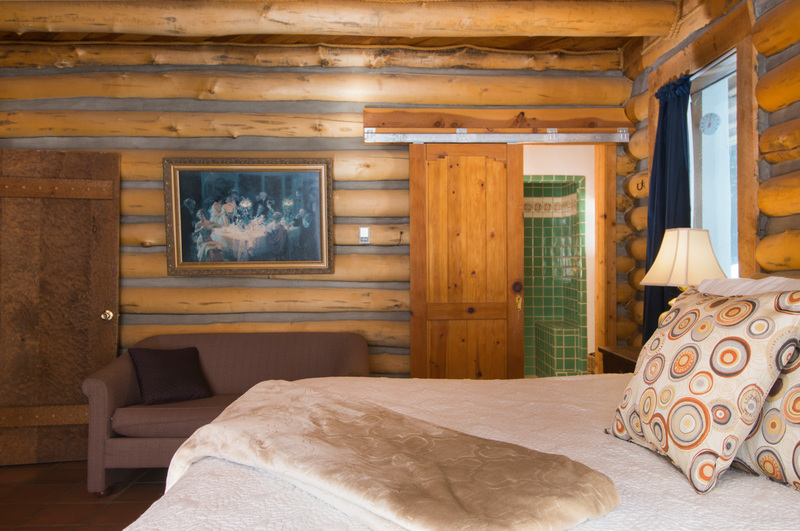 Both the living room and master bedroom are equipped with Dish TVs for indoor entertainment. 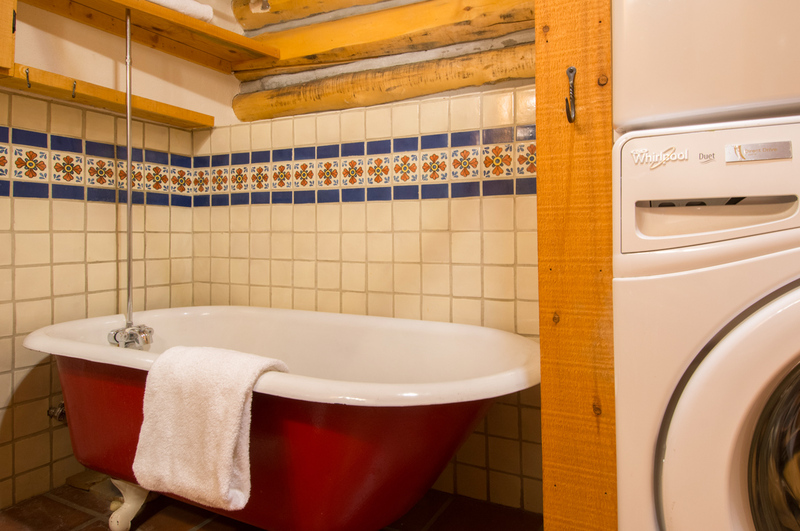 For your convenience, a washer and dryer with necessary supplies are available. 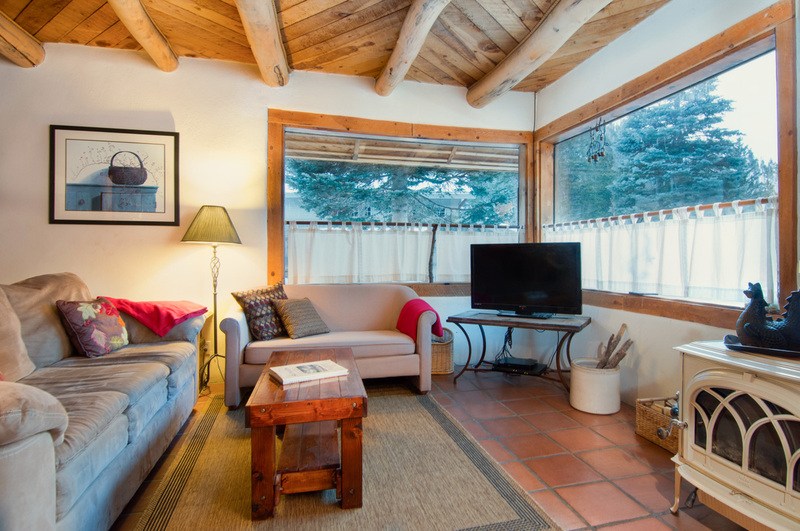 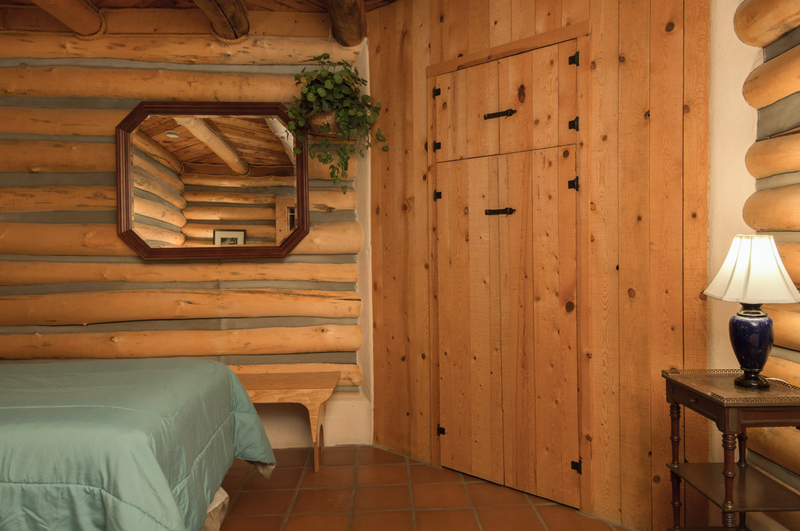 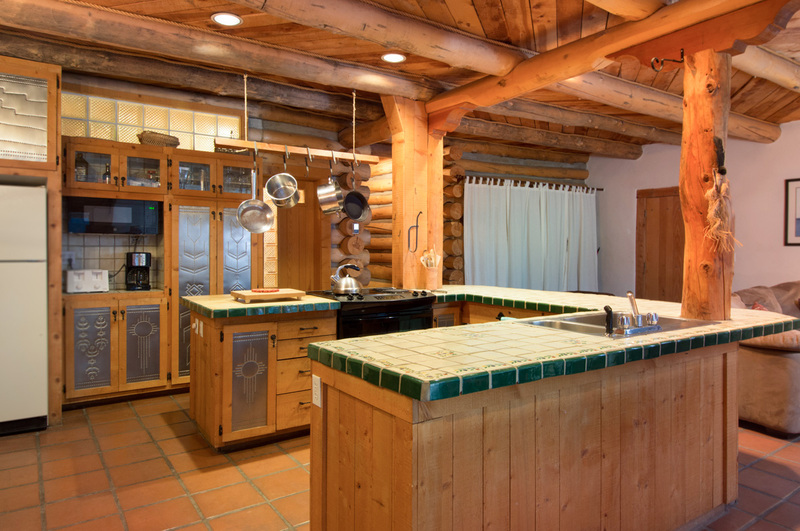 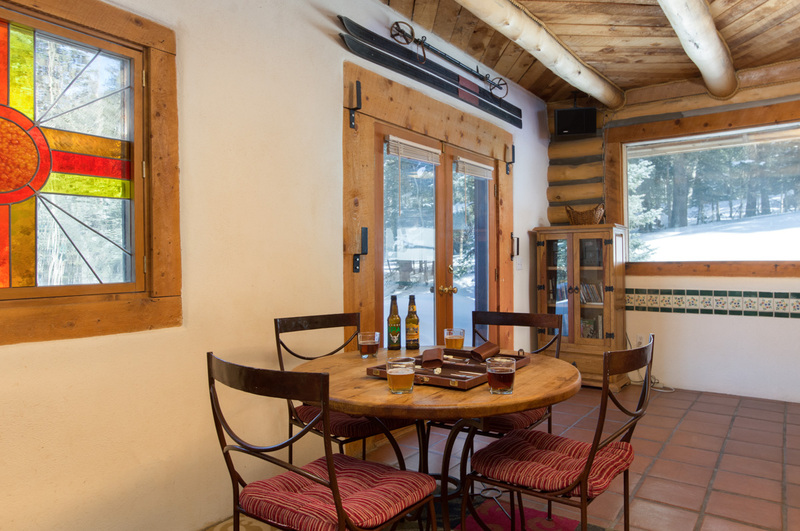 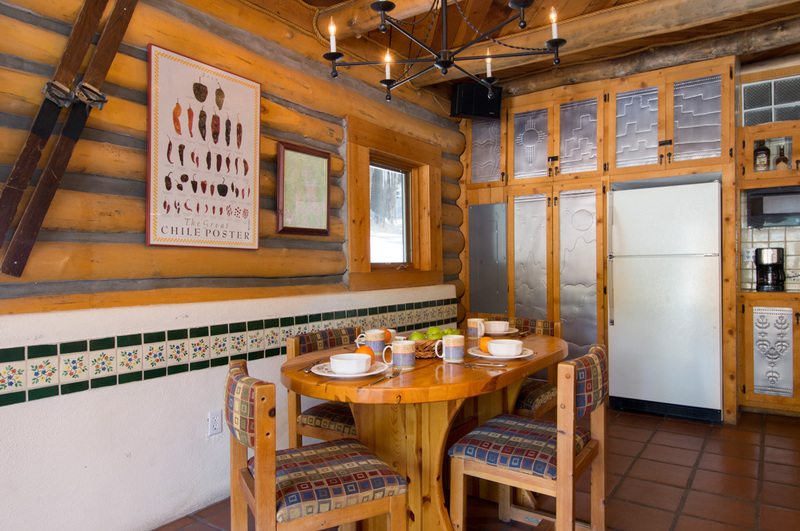 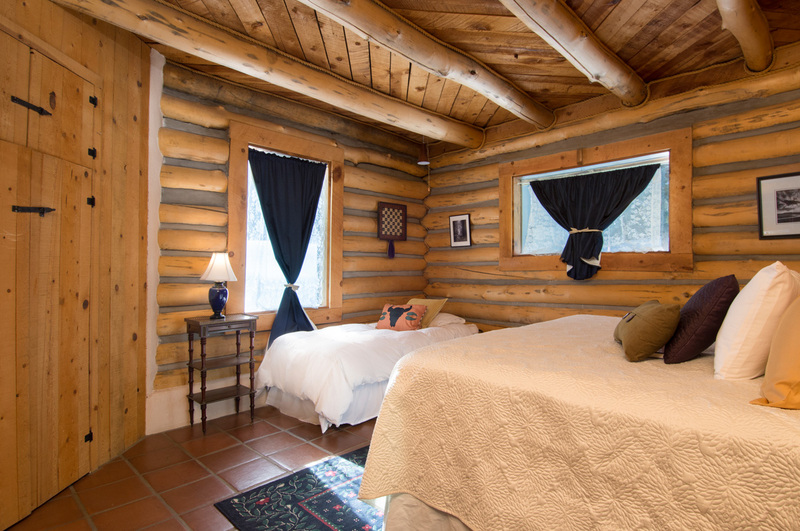 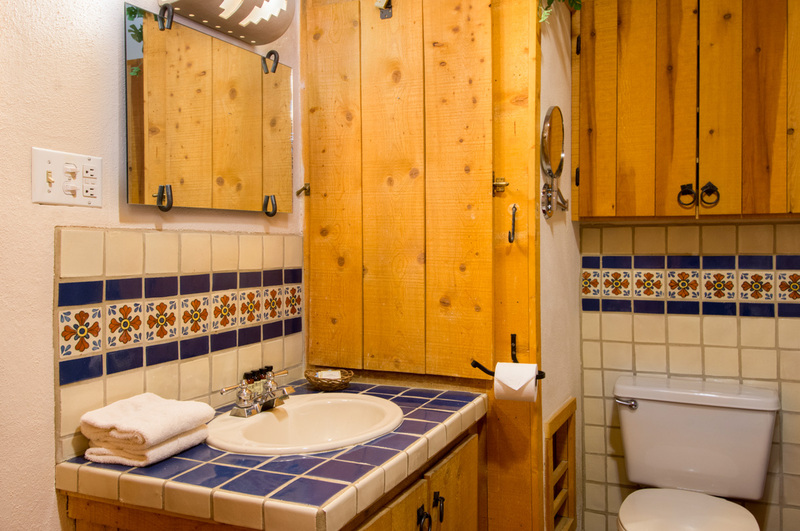 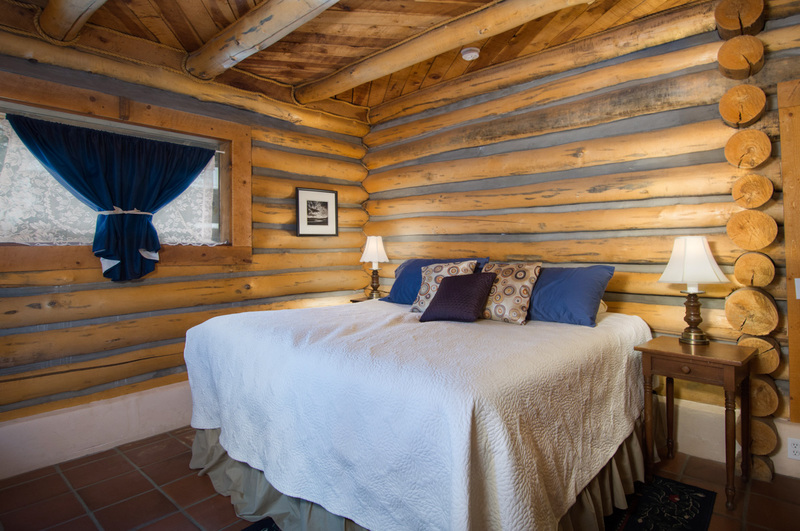 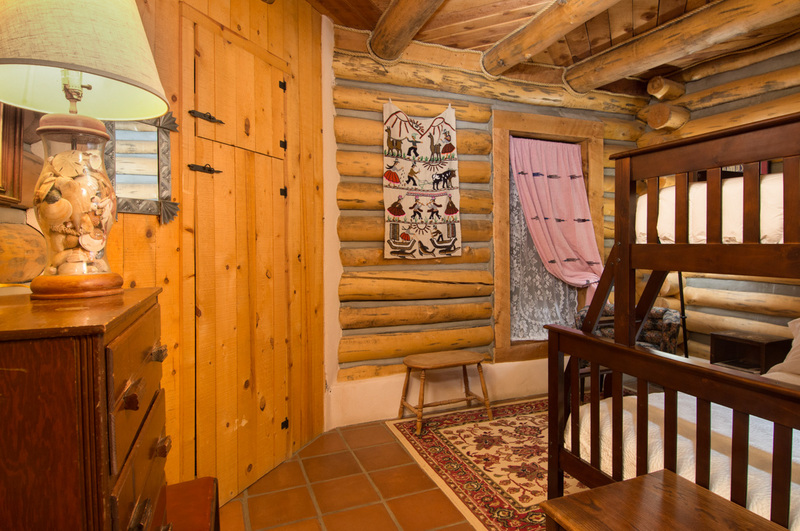 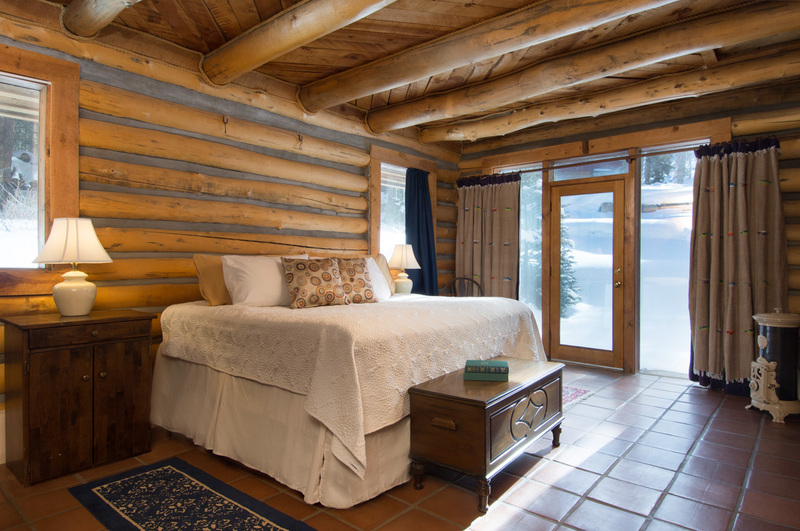 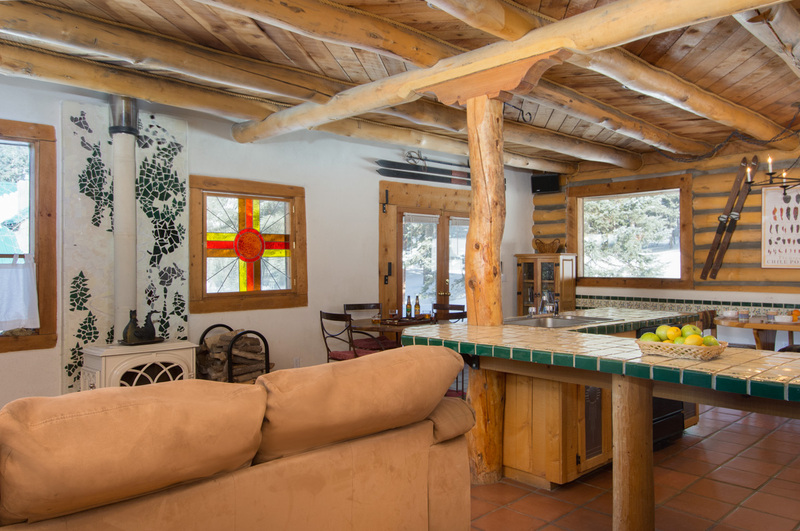 Also, wood is supplied for a wood stove to make your Taos retreat even cozier. 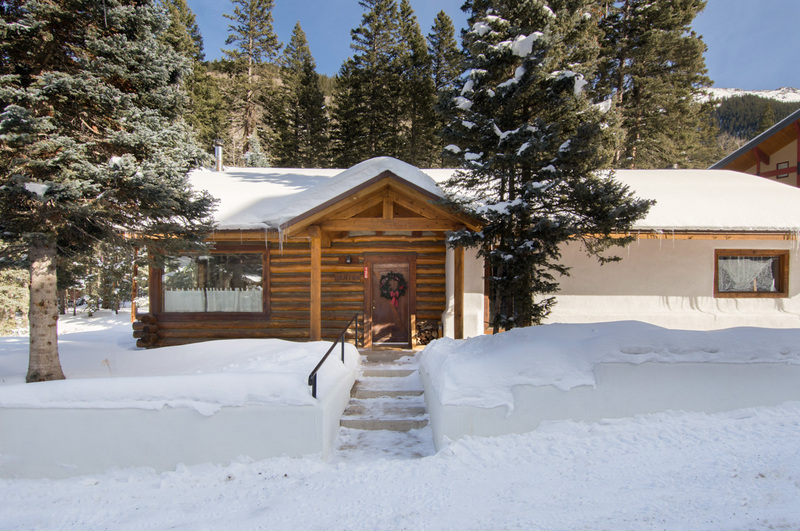 Because of area weather conditions, we highly recommend that guests bring a 4-wheel drive vehicle during the ski season (November-April). 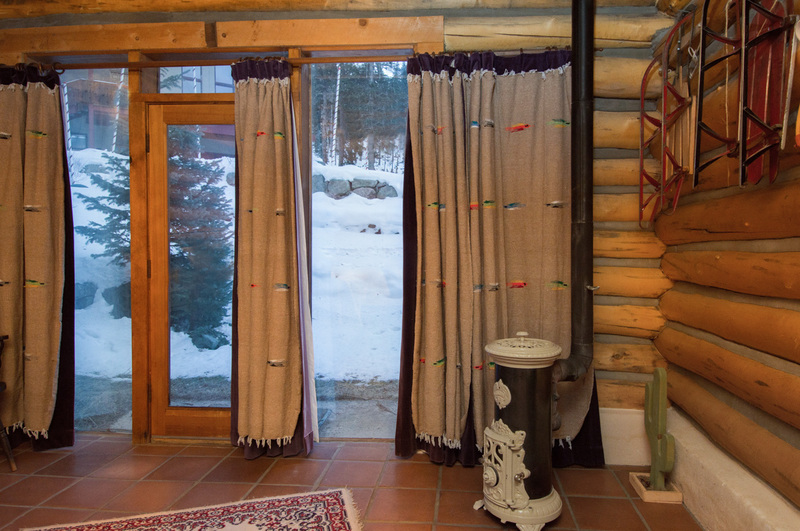 This home is pet friendly.